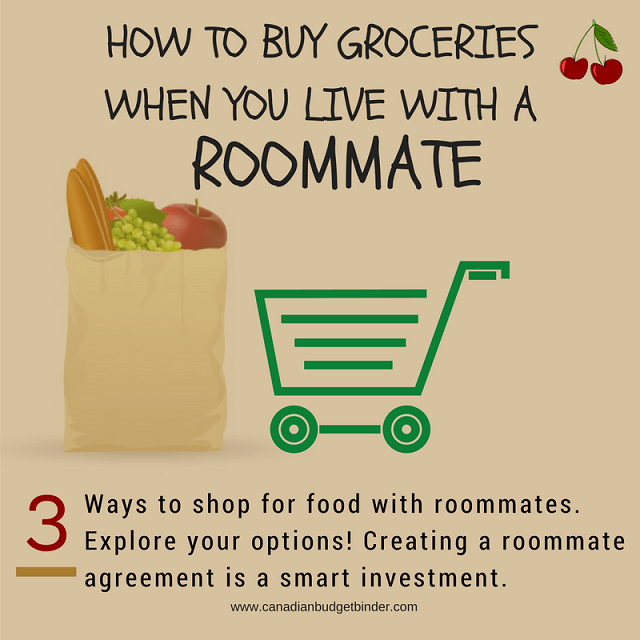 LEARN HOW TO HANDLE ROOMMATE FOOD EXPENSES THE SMART WAY-BEFORE YOU SIGN ON THE DOTTED LINE. The last thing you want to find out after you move in with your roommate(s) whether it be for school or not you WILL want to know what you are signing up for apart from splitting the costs of rent and utility bills. I’m sure you remember the television show, “The Big Bang Theory” and the roommate agreement that Sheldon Cooper (Jim Parsons) dished out after Leonard Hofstadter (Johnny Galecki) decided to become roommates with him. It may have been outrageous and we laughed but don’t think this can’t happen to you. It can. Section 37B, Miscellaneous Duties (The Friendship Contraction): Leonard is obligated to drive Sheldon to his various appointments, such as the dentist. He must also provide a “confirmation sniff” for questionable dairy products. A requirement of the agreement is to have quarterly Roommate Agreement meetings (The Viewing Party Combustion). At the meetings, the Pledge of Allegiance is performed. Issues raised at the meetings include which kind of cereal to buy. If you’re lucky and find a house or basement apartment for rent with your friends or a roommate looking to pair up with another who is apartment searching you can create house rules right from the start. Be prepared that you won’t all agree on all the rules so even talking about a roommate agreement before you decide to rent together might be a smart financial move. Moving costs are pricey for everyone but having to move out prematurely because of differences with your roommates over house rules can be costlier. On a few occasions I’ve received emails or comments from fans asking about grocery splitting when living with roommates for school. When looking for a place to rent it’s important that a roommate agreement is created, signed and dated by all parties so there are no surprises. You can’t always assume that you will rent to an easy roommate who will go with the flow and dish out cash for whatever is needed. If you think like this you’ll soon find out how fast things go downhill and if you hold the apartment lease you may be stuck paying for more than you bargained for if your roommates move out. When I lived in the UK and went to University I had roommates (flatmates) where we split rent and came up with a simple solution for buying groceries that made sense for the three of us. We also had house rules which were pretty laid back and for the most part seemed to be common roommate etiquette. That meant we kept a roommate cleaning schedule on the refrigerator that we monitored monthly and rotated chores so we weren’t always doing the same chore each day/week/month. This worked for us and we happily finished our education without any roommate battles. A friend of ours who has a son that attends University no longer wanted to live in residence after he finished his first year. Beginning this September he has secured a house for rent with a few of his friends as roommates. When visiting his parents which he does often as they live in the same city his mother asked him about the food situation. When he was living in residence he had a full meal plan that his parents paid for but now he had to provide food for himself. His mother was concerned and wanted to make sure he wasn’t eating out all the time. She wanted to know how they planned on buying groceries and who was going to do the cooking. Her son wasn’t too sure what they were going to do which meant they had not discussed the grocery shopping topic nor set up any roommate rules. Since his mother, sister and I went to University and we were over for a dinner party when this conversation came up he asked for our advice on what they should do about grocery shopping. Of course it was my topic of expertise, but they don’t really know that since I don’t tell anyone I am the blogger at Canadian Budget Binder. I offered him a few suggestions about how he could approach the situation of food shopping with roommates so he knew there were options along with some pros and cons of each. First of all I mentioned that the roommates should sit together and create a roommate rules agreement BEFORE school starts. Creating a roommate agreement is not difficult and you can easily type it out, have everyone read it, date it and sign it. Make sure to give everyone a copy of the roommate agreement for reference and keep a copy on the refrigerator for the same purpose. The topic of groceries is what I discussed with them and below are a few options I dished out. Before I get into this topic I want to add that it’s important to always do a pantry check-list, freezer inventory and refrigerator sniff. The last thing you want to be doing is buying more than you need. Stay organized and it’s a win-win for all, plus you might find you will want to eat out less too. Set a grocery budget and buy your own food. Label it and store it in the refrigerator, cupboards and pantry if available. You could even purchase a second-hand beer fridge for your bedroom to stash beer and other goodies you don’t want to tempt others with. The worst is when visitors come and help themselves. Buying your own groceries means you don’t have to share with anyone nor do you have to worry about running out of stuff or paying for food you don’t want or need especially if you are on a special diet or follow a certain food lifestyle. The only con I can think of from my experience is that you have to watch how much you buy so you don’t have food waste. Create a grocery budget and every week prepare a grocery list with your roommates. Use the grocery flyers or flyer apps to help all of you find the best deals on food. Just because you are splitting the costs of groceries doesn’t mean you have to pay full-price. 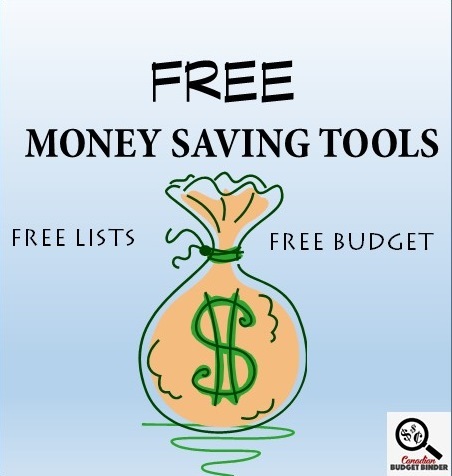 Save money where you can, when you can. Either you all go grocery shopping together, rotate who goes or pair up depending on how many roommates you have. This is only fair so that everyone participates in this chore as not everyone likes to do it. One con to grocery splitting 100% is that you will pay for food that you don’t like, won’t eat much of or won’t eat any at all. There is always one roommate in the bunch that eats more than the rest of you so portion control may be lopsided. It’s hard to control this unless you can clearly divide portions of all your food. This is a great option and one that we entered into when I was in University. We all ate different foods so we kept grocery shopping for food personal. That meant that we bought what we wanted based on our nutritional needs and grocery budget allowance. What we did split on was products that were common or that we wouldn’t need to have more than 1 of in the refrigerator. Products such as ketchup, mustard, mayonnaise, baking supplies such as flour, baking powder etc. we all pitched in on to buy. This worked out great for us. The best grocery list app I’ve come across is the mobile Flipp app where you can get coupons, check sales prices and compare from various stores plus create a grocery list at the same time. Related: How to stock my pantry to create healthy meals. Using a mobile grocery app is a great way to save time and ensure you don’t lose a paper grocery list which is fairly easy to do, ask my wife. Then again she’s left her Iphone on the grocery store shelf before too. We use our printable grocery list which you can download for free if you don’t fancy using an app. Doing it the old-fashioned way is how we grocery shop because we don’t have a data plan on my wife’s smartphone. I’m always asking the fans for feedback when it comes to reader questions because we are the source to help each other out. 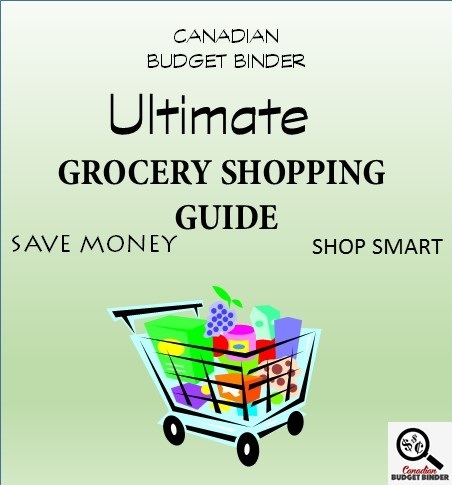 I knew it was time to bring this topic up for my Ultimate Grocery Shopping Guide since University and College is starting up again shortly and to help others who want clarity on grocery shopping with roommates. Christine- I think I’d be buying my food and purchasing a small bar fridge to keep it in if I had roommates. Susan- I bought my own groceries when I rented a house with roommates while I was in college. Friends who I didn’t room with all had problems with a roommate or the boyfriend eating the food. Angela- When I returned from college to live with my parents the first time around, I did pitch in with the groceries. I would take two meals a week and buy what I needed to make it and always a little more. I made those meals too. Colleen- I would prefer to each buy your own groceries and take turns buying cleaning and paper products and maybe even coffee/tea supplies….but…make sure you have a responsible roomie. Della-I’ve had a roommate and we split the groceries due to each bringing the same number of people to the household and this way, our food budget went farther and didn’t have to wonder/worry if the other family was eating our food. Tammy-Never been in this situation but if I did have a roommate I think I would want to buy my own groceries for my budget and taste. If you share a grocery budget, it could end up the other person eating way more or wanting higher cost items. I think it would be too difficult to say go to the store with $100 and have to each get what you want among common items. Just my 2 cents anyway. Pat-I lived by myself until I moved in with my husband. I think if I did share I would have to buy my food. Mary- My nephew used to live with us, he would pay us $250 twice a month and usually one of those times we would go to Costco and stock up the freezer and pantry. This way he got to choose what we had also, seeing I did the cooking. Heather- When we were living in our apartment (my husband and I) with his friend this was like 6 years ago – we always bought our own groceries as it was just easier to get what you like. Nicola-No, but when I lived with my mom and dad I would contribute and then anything else I would buy myself if that counts. If you’re not sure what your roommate(s) has planned take the initiative to call a meeting and chat with each other. Your house rules will either make or break your roommate relationship and possibly your monthly budget. If finance and friendship is important to you then bring the topic to the table. You will all be glad you did. What other advice or tips can you offer to students moving in with roommates or for anyone who will be renting or splitting rent with a roommate outside of the education system? The final week of August grocery game challenge was a no-shop week for us as we have plenty of food in the house. It’s not often we get to say that we have a no-shop week even though we have been working very hard to incorporate them into our grocery budget. With all of the free food and vegetables that we’ve gotten and stocking up the past month we have plenty to get us by for now. Hip Hip Hooray!! I was over for the month as I did pick up a few extras in the last week. The pop was on sale and I had coupons. The Tide was from a sale a couple of weeks ago and was the first time they had more than one or two bottles in stock so I grabbed my 3 with the rain cheque. I saved over $5.00 each. The KD was in my price range…anything under $1.00 a box. If it was just me I wouldn’t even bother but hubby and the boys love the stuff. I just won’t pay full price for it. The apples at the market looked so nice and juicy!! They will be a nice treat for now but I hope things cool down so I can make my apple cinnamon rolls soon!! Basicly I just add some chopped Apple and brown sugar to the cinnamon-butter spread before I roll them up…super yummy!! I can get back on track with my budget next month without much trouble as Sept. is a 4 week month. Oct is 5 but I already have my turkey. Thanks again for the carrot cake recipe! I see what I can do about the apple cinnamon rolls for the blog. The biggest issue would be the fact I don’t measure all that accurately making the filling to spread. A lot depends on how juicy and sweet the apples are for adding flour and brown sugar. The juicier, the more flour needed and the sweeter the less sugar needed. I’ll see if I can ballpark it for you. The carrot cake can be the same for the frosting…after 40 yrs of making it I can guesstimate pretty good. They just started with coupons in the pop cases so I grab what I can but the pop coupons have an expiry of Oct 8,2016 so I need to work fast on those. The Air Miles cash is building up nicely with the personalized deals I get. I’ll have to remember to tell you about my Cheerios deal with next week’s shop….you will laugh!! Overview: We blew the Personal Hygiene account out of the water this week but this year, that value was just an estimation so next year will be better. Definitely could have gotten less but a bit of a stockpile for future use, so I’m okay with that. Hubby starts his vacation on Friday so we’ll be using some “vacation funds” over the next 24 days. His birthday is on the weekend so we will celebrate both his and our girlfriend’s birthday with a lunch at Olive Garden. It’s our little tradition that we have and our “gifts and entertainment” budget covered those costs. We’ve got a day trip to Nanaimo in the plans to have lunch date & vist with my girlfriend, another one to North Vancouver to see the MIL and SIL and checking out a new-to-us restaurant in Chilliwack that comes highly recommended for a lunch date. The vacation budget is handling all of those meals but did you notice that our “treats” are always at either breakfast or lunch? This is simply because those meals are a lot cheaper than dinners. With all our little treats, I am concentrating on using up what’s on hand for our meals in between. The game plan is to finish the month with a NO SHOP WEEK and pat on the back for us…we’re in the black this month and I will carry any balance leftover into next month! This reserve will come in handy when we are in the Okanagan and can stock some nice fruit and veggies to bring home an freeze/dehydrate and can. How are you? I feel like I’ve been away for 2 weeks… oh wait I have been. It was nice to get away for a bit. Back to business though. Those pineapple crockpot baked beans sound nice. They would be great on toast with sausages on the side mmm. What is the overnight apple pie french toast? That sounds right up my alley. This is has been a big month with 5 weeks which still put us over but that was expected. With only a few months until the end of the year I’m curious to see how it all goes down.